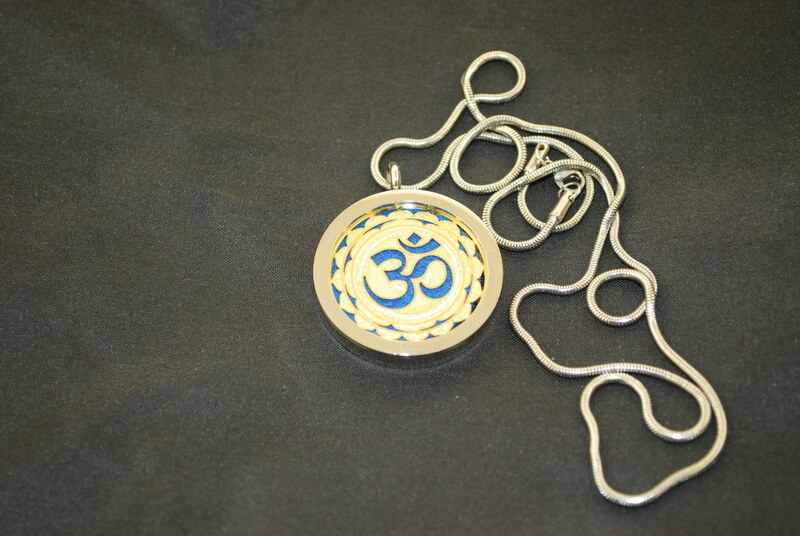 Beautifully designed double sided pendant with 60 cm stainless steel chain. 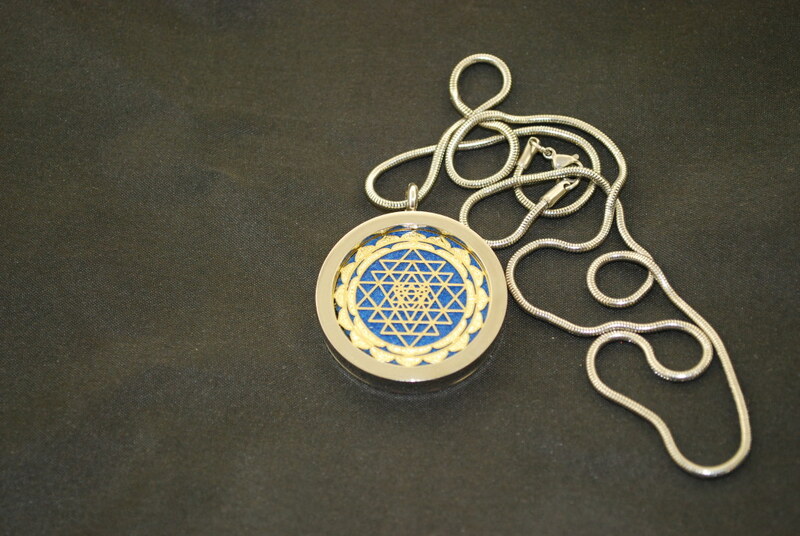 The outer ring is a polished stainless steel and the inner design is a laser cut heavily gold plated bronze plate. 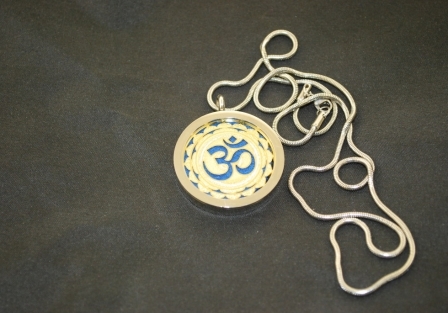 Between the two inner plates is a high quality blue round cotton pad to diffuse essential oils.